Vel Key Products designed to Make Key Control Easy-See How! 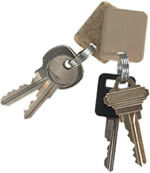 Our Vel-Key Products will increase security and productivity. 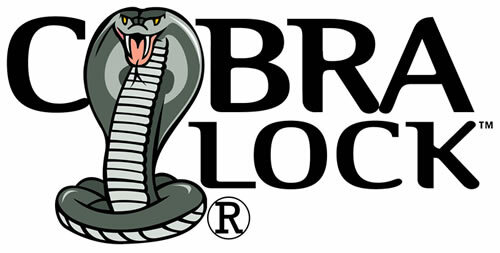 The velcro loop backed plastic tags stay firmly in place yet are easily removed when needed. One side of the Vel-Key tag is a durable plastic material you can write on or label. On the other side is a Velcro strip which attaches and detaches every time thanks to the ingenious hook and loop principle. Below is a sampling of our Vel-Key Products. Click HERE to Dwonload our Informations Sheet. 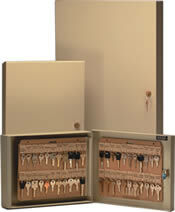 Sturdy metal cabinets offer a wall mounted approach for storing up to 528 key tags on 24 Vel-Key files. It's an easy way to track keys. The cabinets are made of steel and come in a variety of sizes. Two key tags are affixed to one another using the Velcro hook and loop technique; it's what makes Velcro stick! So, if you have to leave you car keys with the garage, just pull it apart from your house key tag and drop it off. Sturdy plastic panel holds up to 22 Velcro-backed key tags on two horizontal Velcro strips. They can be stored in filing cabinets, mounted on the wall or bound in a 3-ring binder. A blockbuster approach for hiding your keys. Thought you ran out of clever places to store and hide your extra keys? These "faux" movie cassettes are so clever a hiding place, you yourself may forget where you put your keys!